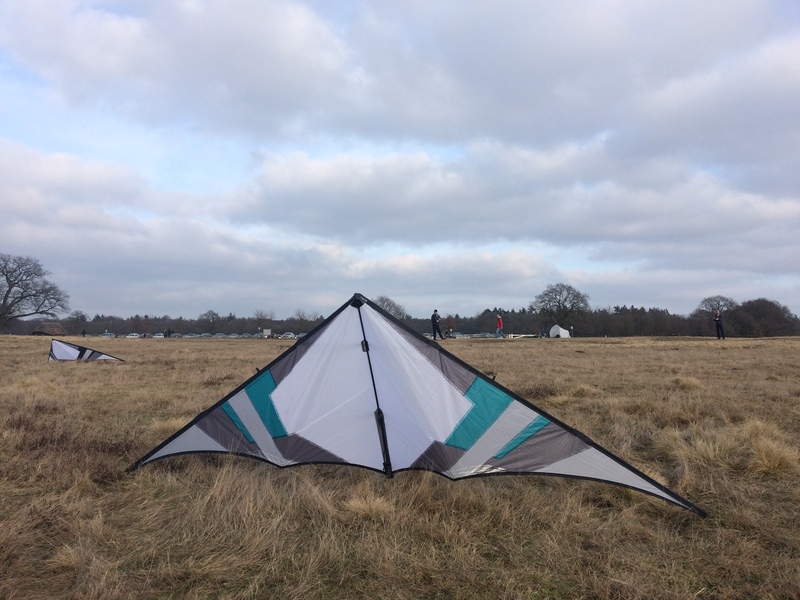 This is a little trickkite experiment i did recently. Started off with a shape i really liked: my Vendetta by Shawn Tinkham. Altered the shape by scaling it down to 93% and changed the trailing edge by cutting it a fraction higher. The position of the lowerspreader/center cross is a bit higher on the spine and LE as well. Fitted single (gfk) standoffs per side and added a Kitehouse style nose. 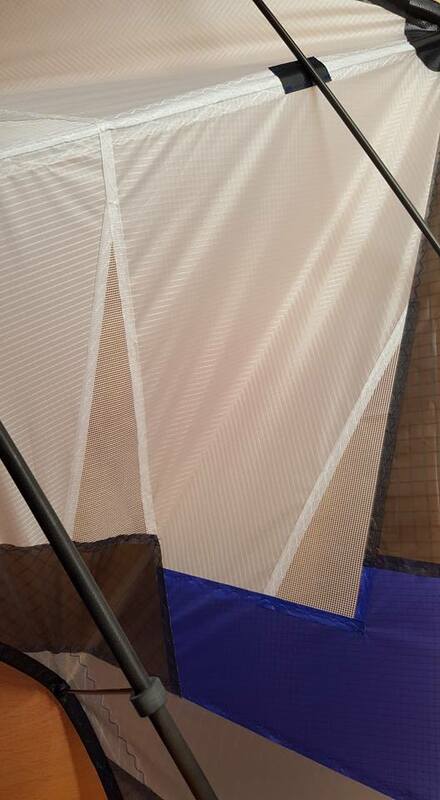 Also made a little panel layout so i could use some icarex scraps (Vendetta’s have nylon sail material). Turned out to be a nice tricker with a great taz machine and a deeper backflip. Backspins are better as well. Still quite slow and precise in flight. The signature Vendetta slotmachines are a bit lost. Maybe a little tweaking can bring those back. 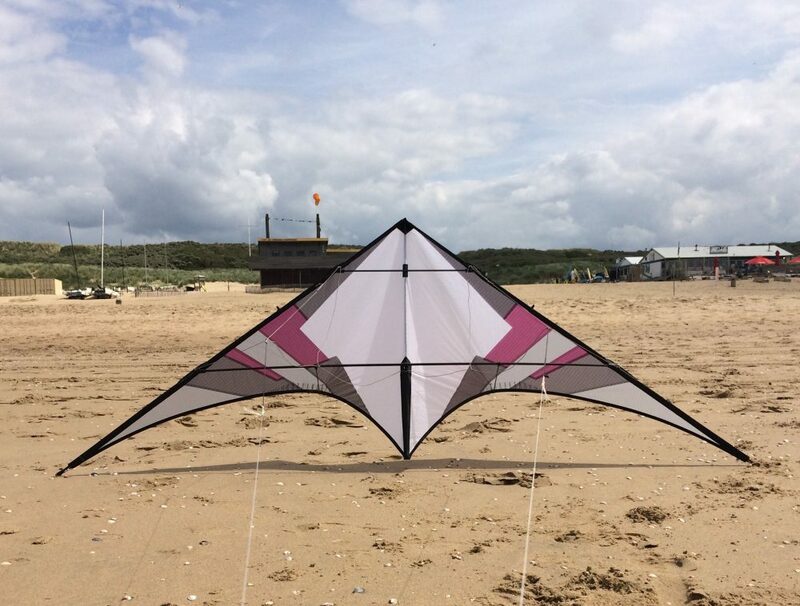 I’m not intending to share the plans publicly, since it is based on a kite that used to be available commercially. Krijn Hemminga was interested in building one as well so we both have a matching kite to do some pair trick flying. A bunch of other friends within our little community have build 90three’s as well. So there’s quite a few now. At the moment we are keeping it within our group of friends. Krijn experimented by creating a SUL version which is very floaty and balanced. 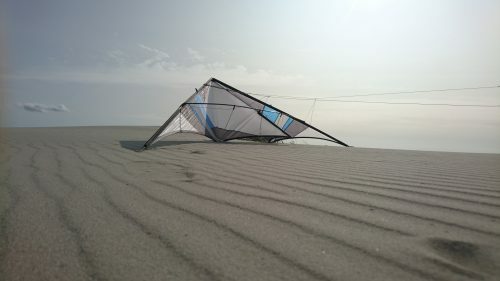 It’s very, very slow yet fully trickable in the lightest of breezes. Taz’s, multilazies and cyniques are it’s strong points but basically most tricks are there. Combining tricks is a blast. Single pop yoyo’s can be done but are easier when 3pt LS are fitted. This makes the SUL a bit more radical. A XUL and UL version are also developed. The VTD version is very nice as well. Krijn did a great job with choosing the vent sizes, shapes and positions. When the STD has reached it’s upper wind limit, that’s when the VTD keeps going. Almost no pull, still slow and still very capable in the tricks department. 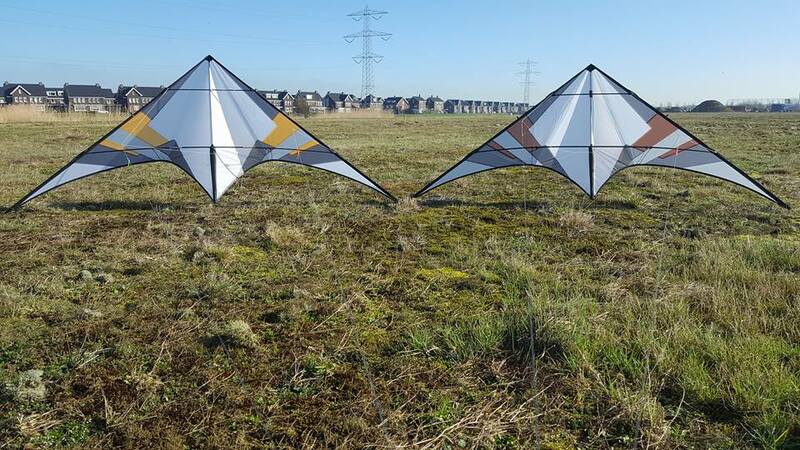 Krijn also made a Super Vented/Crazy Winds version. 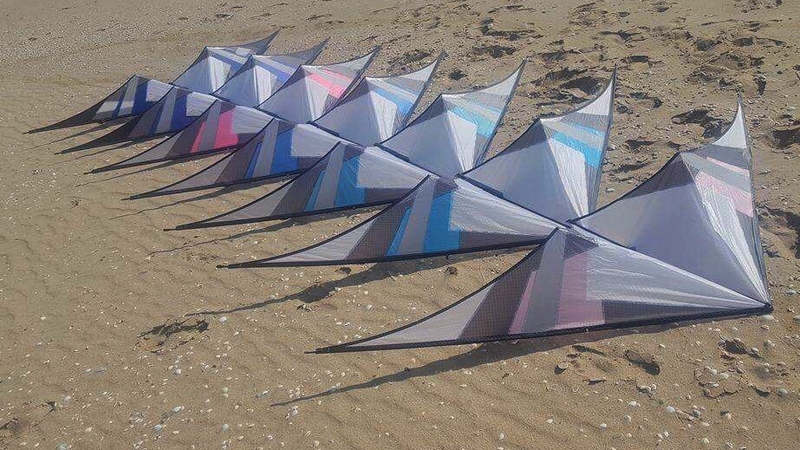 Since then we also experimented with larger versions: the 90Nine and 100Sixteen and even a whopping 100Fifty version (336 cm wingspan). You can find the info below. Scroll all the way down for the videos. These are special 80% editions of the 90Three. The 90Three80 in STD and SUL versions and the Indoor/Street version 90Nothing. 90Three80 by Krijn Hemminga for his son BO. 180 cm width. Framed in 4mm and 3pt. This is the 234cm wingspan version of the 90Three. Framed in Skyshark Nitro and Skyshark Nitro Strong. 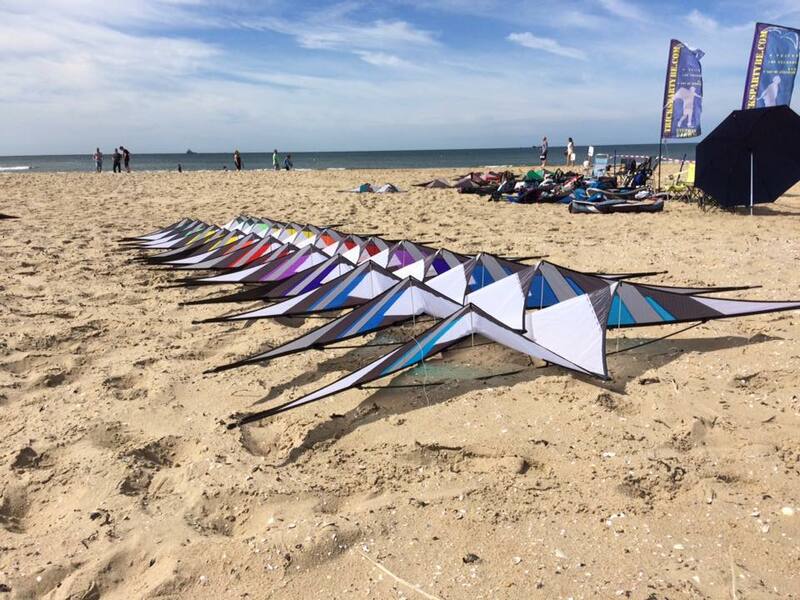 Very stiff kite, and very well rounded in both flying and tricks. 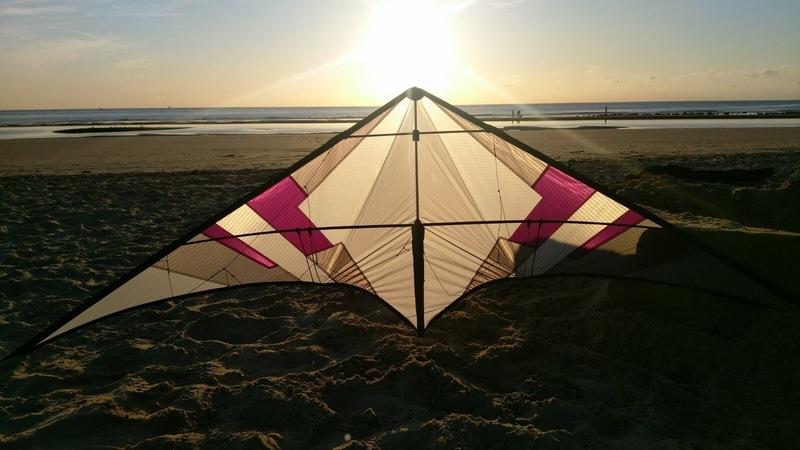 The 100Five is a 105% version of the 90Nine which makes it a 248 cm wingspan kite. 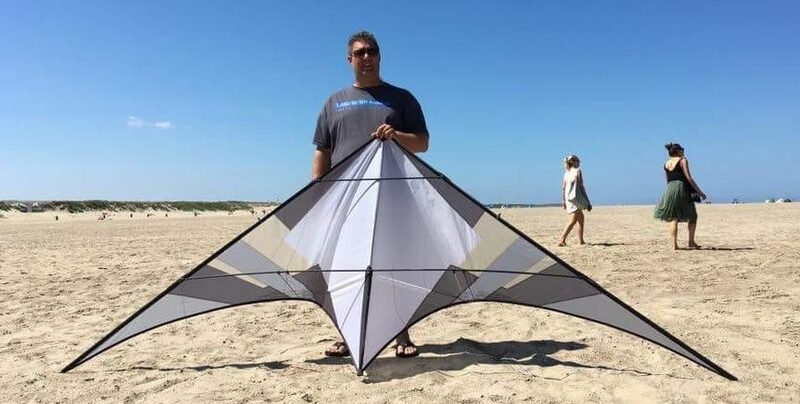 Lars Fakkeldij wanted a larger kite for light wind conditions (same windrange as his Phantom Elite UL). The 100Sixteen was too big for him so he decided to build something in between. 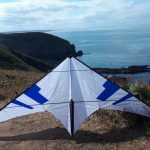 This particular kite is framed in Avia Gforce UL spreaders, skyshark 3pt upper leading edge, skyshark p100 lower leading edge, skyshark p2x spine. 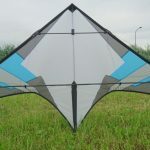 This is the 116% version of the 90Three which makes it a fullsize 260cm wingspan kite and the overall weight is 349 gr. 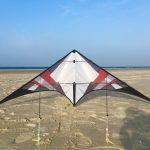 Similiar compared to the 90Three but much slower in tricks and performs very well in lower windspeeds, probably due to it’s size. 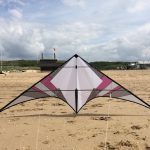 I used c-grade Skyshark Nitro Strong (23 gram each) for the LE and LS. This (temporary) is available at Drachenmarkt (Ryll). 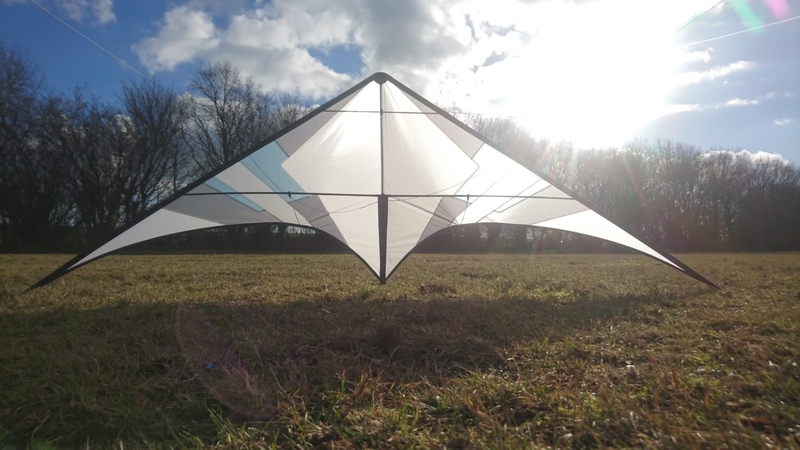 Krijn experimented by building a lighter sail (Spinnaker LE tunnels and light mylar reinforcements) and framing with lighter rods. 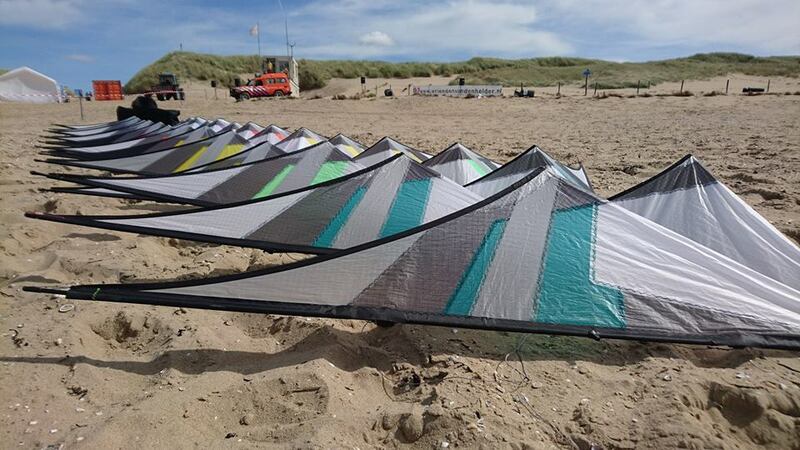 Since the kite is big we call this the SUL. 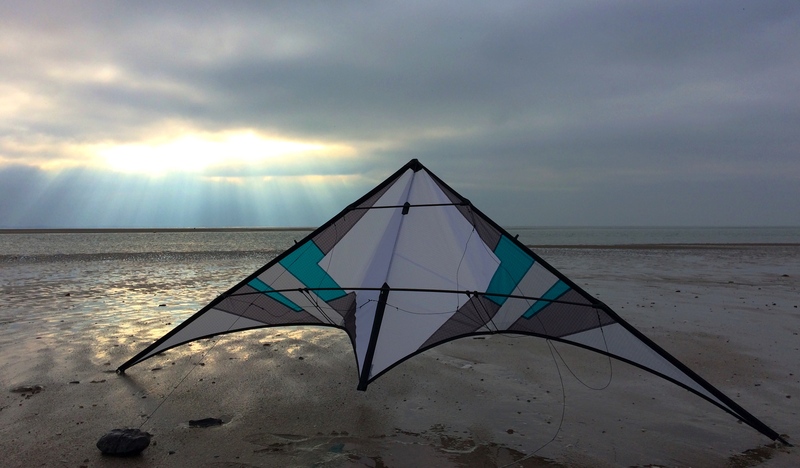 It flies and tricks in the lightest of breezes. Making it even lighter woudn’t make sense. 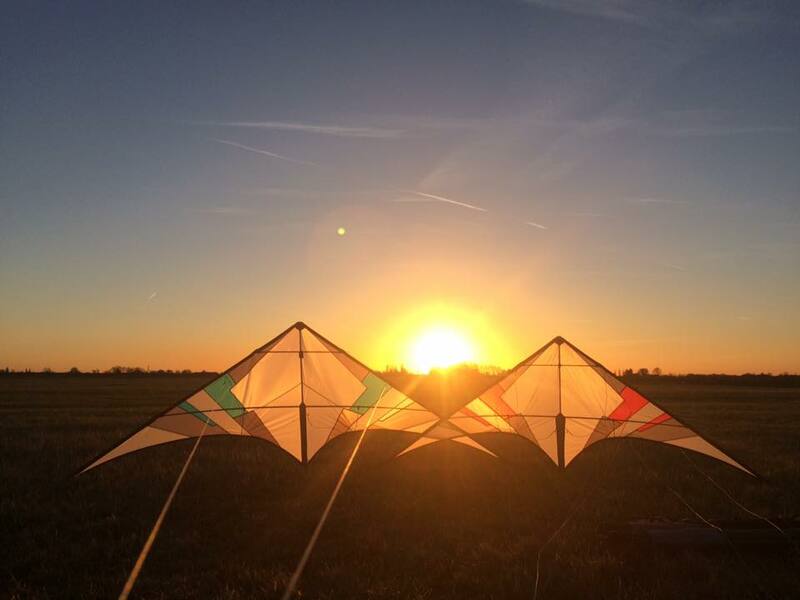 The 100Fifty is an experiment by Krijn. 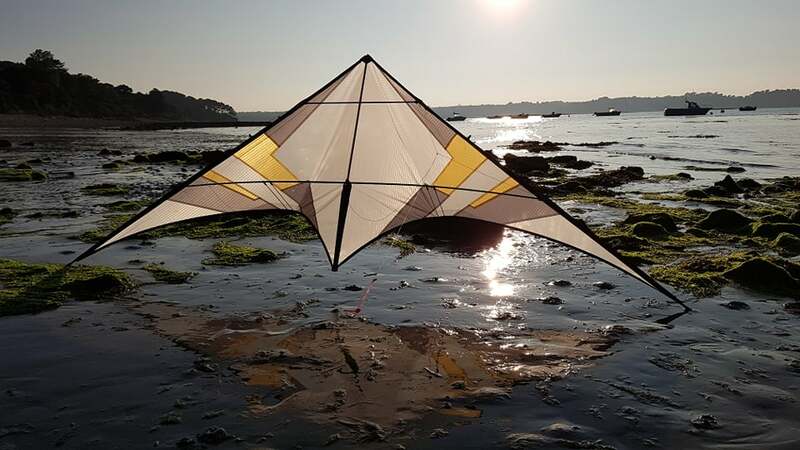 It’s 150% 90Three which makes it a 336 cm wingspan kite. It’s framed in 3 part LE and LS: C-grade Nitro Strong and p400 strong.